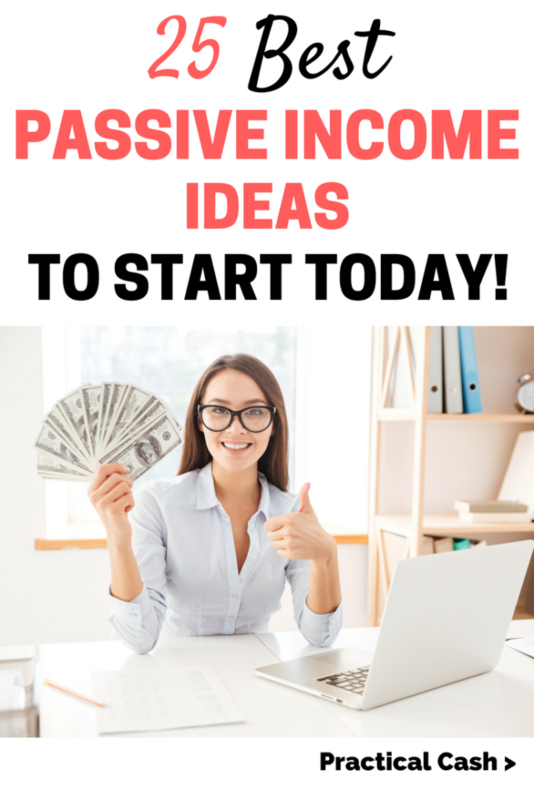 Passive income ideas are the stuff financial dreams are made of. With enough passive income, you might even be able to retire early or travel the world, living off the residual income streams you’ve created. So, what is passive income (also known as residual income)? Passive income is money you earn that doesn’t require extra effort to maintain. Keep reading for the best passive income ideas you can start today. One of the best passive income ideas is to start your own moneymaking blog. Unlike a regular job, there’s no limit to the amount of residual income you can earn with these home based jobs. Blogging is low-risk and doesn’t have to cost a lot to get started. Your out-of-pocket costs will typically be less than $10 a month. In fact, I can’t think of too many other businesses that offer this much potential for passive income for expenses of less than $10 a month! Making passive income from a blog takes time and effort. But check out this list of 43 Blog Income Reports – some bloggers make between $10,000 to $400,000+ in a month! 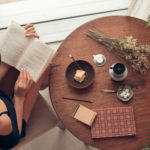 What’s the best way to start your own blog? Choosing a web host is the first and most important step in creating a blog. You can choose a free blog host, but if you want to have a moneymaking blog, it will be a lot easier to monetize your blog if you use a paid hosting plan. You don’t want to get in a situation where you have to spend a lot of time and money switching from a free to a paid plan later. Bluehost is a very popular hosting service (and the one I use for my moneymaking blog!). As a new blogger, you want a reliable web host who offers a lot of value for the money. Starting a blog is one of the best ways to make passive income. Bluehost is THE BEST for value and customer service. (if you have any questions, you can simply call their 24/7 customer service line!) Bluehost is such an awesome company that they’ve offered exclusive pricing for my readers. Sign up through my link for pricing starting at only $2.95 a month, PLUS you get a FREE domain name ($15 value) when you sign up for a year in advance. Want the best value in hosting? Sign up for a year or more upfront to get the best deal. Not only is it the cheapest hosting plan, but you don’t have to worry about remembering to pay another bill every single month. If you ever decide to cancel, they’ll refund you the unused portion of your package, so it’s worry free. I personally make between $500 and $2500 every month with this passive income strategy! Did you know you can create a significant residual income stream by making T-shirt and sweatshirt designs that are sold via Amazon.com? Without any upfront investment or inventory cost? This program is called Merch by Amazon. I’ve made thousands through Merch by Amazon, and I definitely think it’s one of the best passive income ideas. You create a digital file that you upload to Amazon (you can use Adobe Illustrator, Photoshop, or even free programs like Canva or Gimp). When a customer purchases your T-shirt, long sleeved tee, sweatshirt, or hoodie, Amazon prints the design onto the physical item and ships it to the customer. You’re paid a royalty for the use of your design, and every month that you make sales, passive income flows into your bank account. Before you can use this residual income stream, you have to be accepted into Amazon’s program. Go here to apply to the Merch by Amazon program to get started with this passive income idea. But Amazon isn’t the only place to sell your designs. You can also sell your designs on other print on demand companies, such as Redbubble, Teespring, Zazzle, CafePress, and Spreadshirt, to name a few. Even if you have no graphic design experience (I didn’t have any when I started and I now have over 1700 shirt designs bringing me residual income money every month), you can find plenty of tutorials online to help you learn how to create a T-shirt for print on demand companies. Want to sell T-shirts and other products to promote your blog? Check out How to Monetize a Blog with Physical Products: Merch 101 for Bloggers. Not only can you use your graphic design skills for making T-shirts and sweatshirts, but you can upload the same designs to create passive income on other products. This is seriously one of the best ways to make passive income. I love putting funny quotes on mugs, tote bags, hats, and even backpacks and bathing suits! Opening your own Etsy digital products store is a great way to start a residual income stream because once you create the listing, you can simply keep renewing it – no extra income required. The only measurable time you have to put in is answering customer questions and creating new products. Create a digital file design you can put on a mug, tote bag, shirt, or hat. Apply to create an Etsy shop and upload information about your store and the types of products you offer. Upload your designs to Etsy – you can market your designs via social media, advertising, or with good SEO. Set up a Printful account and connect it to your Etsy shop. Once a customer orders something, Printful prints and ships the order to your customer. They even email the customer tracking information if you link your Etsy shop to your Printful store. Enjoy your passive income profits! Go here to get started with your Printful store today. Websites, bloggers, social media and video creators all use stock photography in their products. 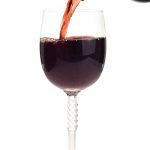 You can make some great money selling your photographs to stock photography sites. Take one photo, upload to the stock photo site, and when someone buys it, you’ll receive royalties for the purchase. 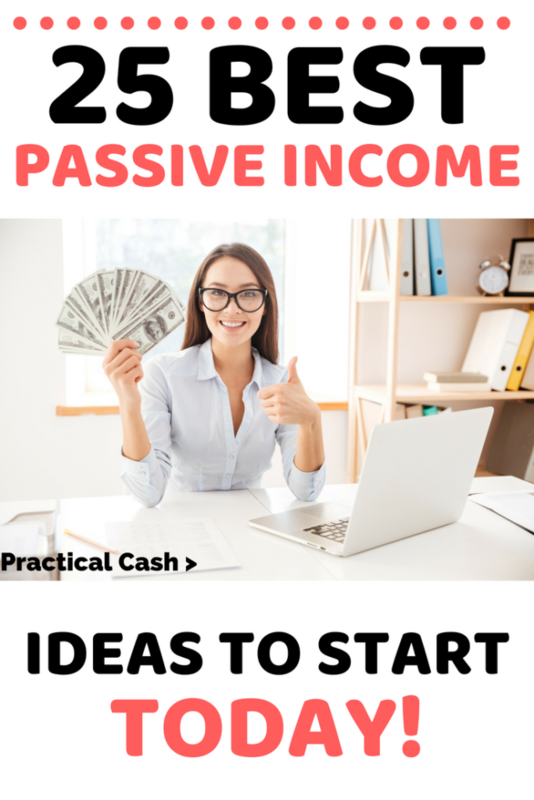 Want to get started with this passive income idea? For more information, check out 10 Popular Stock Photography Sites to Submit Your Images To. Do you love writing romance novels for fun? Do you have specialty tech knowledge you can turn into an ebook? Amazon’s Kindle Direct Publishing platform allows you to format and upload your own creations in the form of a digital ebook. Amazon will pay you residual income royalties every time a customer purchases your ebook in this passive income idea. There’s no limit to the number of ebooks you can upload, so you can create a significant income stream from writing ebooks. Let your creativity flow with this residual income idea. Consider uploading your video creations to Youtube if you love making videos to entertain or teach. When Youtube shows ads to viewers, you receive a portion of that ad income. As you gain subscribers and page views, your income with Youtube can grow significantly – this is one of the greatest ways to make passive income. Are you an actor or theater major? Do your friends and family tell you you have a great voice? Look into narrating audiobooks for Amazon’s Creator Exchange (ACX) program. You’ll need your own equipment and editing software, but Amazon will pay you royalties on sales made for books you narrate. And, if you are the creator of a print or ebook, you can upload a narrated version of your book here as well. If you have a skill that’s in demand, whether you’re a successful writer, gamer, video creator, or marketer, you can earn serious passive income by creating a course and offering it to customers. You don’t even need to have formal teaching experience! Once you put the work in to create your product, you simply collect the income that flows when people purchase your course. Check out Udemy and Teachable to find out more about creating your own teaching course. Coloring books are no longer for kids, and there’s huge demand for themed adult coloring books. If you’re creative and love to draw or have graphic design skills, you can publish your own coloring book via Amazon’s Createspace. When customers buy your coloring book, Amazon will print the book and give you passive income royalties – one of the best ways to make passive income. How can you create your own coloring book to start a passive income stream? I recommend checking out Introduction to Coloring Books for Adults, a video class that tells you everything you need to know to act on this passive income idea. If you love to jot down your thoughts, one of the best passive income ideas is making a themed journal. Your journal might have quotes about cats, provide motivational prompts, center around Christian living, or a myriad of creative themes. Making themed journals is a great passive income stream since you don’t have to create scads of content – you’re simply providing a space and prompts to help the customer catalog their own thoughts. You’ll need to design and lay out the journal, and then you can upload the files to Amazon’s Createspace program. Amazon customers can order your product, and Amazon will pay you royalties. A perfect passive income opportunity where you can be making money while you sleep! Typical savings accounts pay abysmal returns. Nationally, brick and mortar banks pay an average of about 0.07% annual percentage yield (APY). A bank paying 0.01% annual percentage yield interest on amounts between $1.00 and $100,000. If, for example, I have $50,000 in my account that the bank can lend out to others, they’ll only pay me $5.00 per year for the privilege. 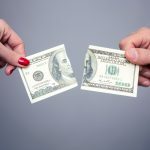 In contrast, a high yield checking account with 1.5% annual percentage yield may pay out about $750 for the same amount of stored cash, depending on the high interest savings account you choose. That’s a huge difference. For more information about finding a high yield checking account as one of the best ways to make passive income, check out How to Find a High Interest Savings Account. If you have credit card or loan interest, paying off your debt is like an instant passive income savings boost and one of the best passive income ideas. When you pay off a debt, you get to save or use the money for the principal payment – but it’s like an instant 3, 4, 5%+ raise to your income when you’re not paying interest. Want some ideas on how you can pay off debt quickly? Check out 15 Ways to Find Money to Pay Off Debt Fast. The app also does the investing for you. All you have to do is shop and your change will automatically become an investment that brings you residual income. Investing in real estate can be an extremely profitable method of creating passive income. You could even purchase a duplex or triplex, rent out the units, and have residual income streams of cash flowing into your bank account every month. You don’t necessarily need a 20% down payment to invest in a rental property. For great information about getting started with rental properties, check out The Book on Rental Property Investing: How to Create Wealth and Passive Income Through Intelligent Buy & Hold Real Estate Investing. The authors of the book create a popular podcast about ways to make passive income through real estate called Bigger Pockets. Banks want your business, so they’re willing to compete by offering you cash bonuses for using their savings and checking accounts. If you’re willing to put in a little time and money upfront, you can earn some passive income just by opening bank accounts. For example, right now Chase is offering $200 if you sign up a new account, deposit $25, and sign up for direct deposit. You do have to keep the account open for at least 6 months. For more information about some of the best bank promotions and bonus offers available in 2018, click here. If you have some extra cash, participating in lending clubs offers a great, lower-risk opportunity to make passive income streams. Basically, your money is “rented” by people who need capital. The rent you charge is the interest rate, and it comes back to you every month. It doesn’t have to be a huge risk for you to make money on your investment. 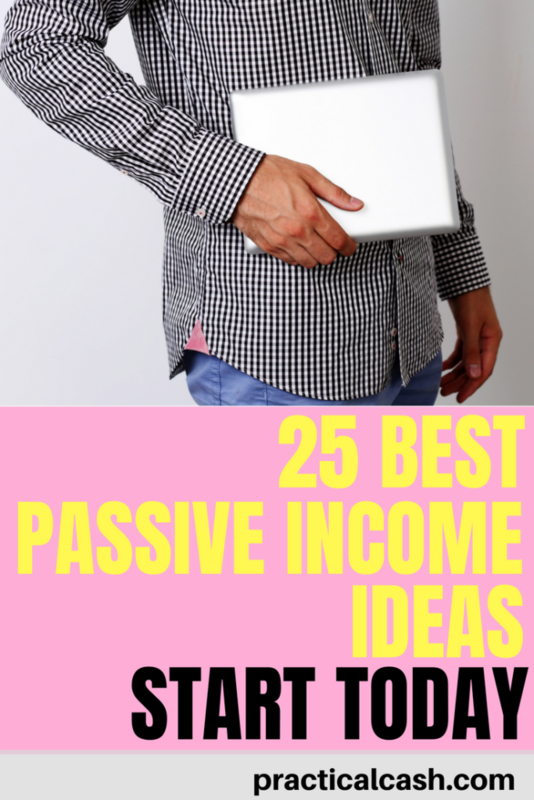 You can lend out your money in as little as $25 increments as one of the best ways to make passive income. If you have $25 and you’d like to earn way more interest than the bank pays you, click here. Every month, I get free money in the mail. Sound too good to be true? It isn’t, and it’s totally real. I cash the checks and they go straight into my high yield savings account. This year alone, I’ve received over $250 in free money. And it’s all because of class action lawsuits. I’ve received money from food companies, technology companies, and marketing companies, just to name a few. To find detailed information about finding and applying for class actions, check out How to Find Free Money with Class Actions. Don’t forget to use Ibotta for cash back on groceries. Ibotta is an amazing coupon free way to get cash back on your grocery bill. You’ll get cash back every time you purchase an item and scan your receipt. Then you can have the savings sent directly to your Paypal account! Ibotta is super easy, and you can even get a free $10 if you’ve never used it before. All you have to do is snap a couple of pictures and push a few buttons on your phone. Another easy site to use to save money and get passive income is Ebates. Check out Ebates Review: How to Make Money with Ebates here. 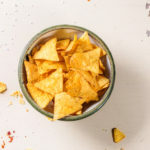 Check out 12 Ways to Save Money on Groceries Without Clipping Coupons. An online store – like one on Ebay, Poshmark, or Mercari – can be a significant source of passive extra income and one of the best ways to make passive income. Once you list the items in your store, you can sit back and wait for the sales to come in. Even if you’re on vacation or at work, the effort you put into your listings up front will pay off later for you. To have a successful online store, you need to purchase items customers want at a low enough price that you can make a profit after fees. Have you heard of churning? If you have a great credit score, you can sign up for specific credit card offers for cash rewards or travel points as one of the ways to make passive income. Usually you have to spend a minimum amount of money to get the reward, but if you are organized and can keep track of payment dates, you can earn passive income from credit card rewards with minimal effort. How many times a day are you searching the Internet? Why not get paid to do it? Swagbucks will pay you to simply use its Swagbucks search engine. The search results aren’t too bad either. To learn more, click here. Slashing money from expenses you have to pay with a bill audit is one passive income idea. If you can cut a bill by 5% that you had to pay, that’s free money to you and like an instant raise to your budget. To take advantage of the residual income you can gain, make a list of the bills you pay every month, like car and home insurance, mortgage, cell phone, and Internet. Then call each of your providers to ask about discounts and opportunities for savings. You might tell the customer service rep that you’re considering switching services to another provider because of the price. You should easily be able to knock off $100 or more from your monthly budget if you do this for all of your bills. Do you love pets? Do you have enough space and time to board animals in your home? Rover is an app that matches animal lovers with pet owners who need sitting and walking services for their animals. Pet owners book your boarding services right through the app. You can sign up for animal boarding services with Rover here. What are your favorite passive income streams? List your favorite side hustle residual income ideas in the comments!